Ekiti State Director of Finance, Michael Kayode Bamisaye, allegedly died of suicide in his residence, Ado-Ekiti on Monday, 30th July. Michael Kayode Bamisaye was a senior local government official, the Director of Finance in Ise/Orun Local Government Council, Ise-Ekiti. Micheal allegedly jumped into the well in his compound behind Tinuola Maximum School, off Afao Road, Ado-Ekiti on Monday. The deceased had earlier drunk water mixed with cement in an earlier attempt to kill himself before jumping into the well. Activities were said to have been grounded at Ise/Orun Local Government secretariat when the report of Bamisaye’s death filtered in from Ado-Ekiti. 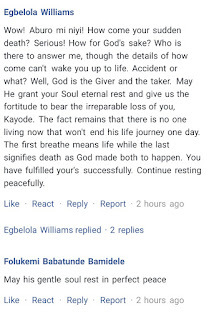 Top management staff of local governments in Ekiti State has being paying condolence visit to Bamisaye’s home while sympathizers have been trooping to his residence to commiserate with the widow and other members of the family. The cause of the suicide could not be immediately ascertained. 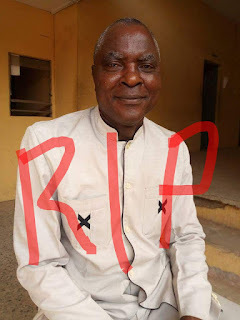 Micheal is the third senior management staff that would die in Ise/Orun Local Government Council this year under mysterious circumstances, two others were directors. “The deceased woke up at about 4.00 am to assist his wife to do some house chores and even called some council workers he used to convey to Ise every day to be ready to join him to their station.